Yelp / Lukia XThey look more similar than they actually are. Aside from the fact that gelato comes from Italy, it’s easy to think that it’s pretty much the same thing as ice cream. 1. Ice cream is more fattening. US law requires that ice cream must have at least 10% milkfat. Yes, ice cream is a federally defined term (who knew?). Gelato, on the other hand, does not have to meet this requirement, and is therefore made with whole milk and no cream. Gelato generally has around 3.8% milkfat. Thanks to this, gelato is the healthier, less fattening choice compared to ice cream. 2. Ice cream has more air whipped into it. The same law that states ice cream must have 10% milkfat, also states that ice cream can be at most 50% air. Ice cream increases in volume when it’s churned in the air, but the aforementioned law puts a limit on how much it can be increased. 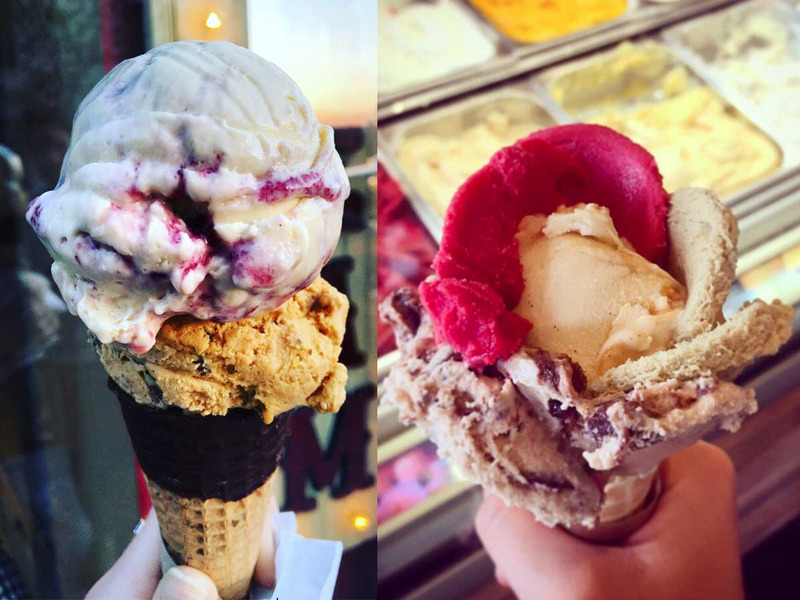 Gelato is more dense than ice cream, mainly because it’s churned more slowly, meaning less air is churned into it. 3. Ice cream is served at a colder temperature. Before ice cream is served, it’s hardened in a blast freezer. Gelato does not go through this process, and is therefore served at a less frozen, and slightly warmer temperature than ice cream. That’s why gelato has a silkier texture that’s more comparable to soft serve than to regular ice cream.